I know it was a long time coming, but CFR is now updated, for those who don't use COR. I'm calling this a beta because I did a lot of editing without a chance to test the results, but it is error-free and ought to do just as intended. A few new features, bugs fixed, and a couple requests handled. This may well be the last version of CFR. NEWS: JOIN ME ON IRC FOR OPEN DISCUSSION. So... I have a dilemma. I'm often in need of input, or of user feedback, or just need an idea of the player perception of one concept or another. To sate this need, I looked for a place to create an open discussion, where users might be able to interact a little more directly in the development of my work. To this end, I've created a #SkyrimRequiem IRC channel on DALnet. 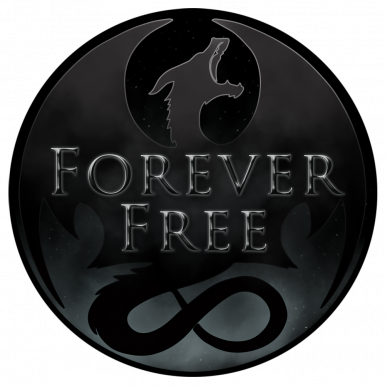 Anyone is free to join, and the channel can be used for everything from brainstorming to support to random gaming-related discussion; but we'll try to keep things focused on Requiem, or at least Skyrim, as much as possible. I'll generally be available there if I'm online. To access the new chat channel, just point your IRC client to DALnet's new #SkyrimRequiem channel. Don't have an IRC client? I highly recommend HexChat, possibly the best open-source IRC client there is. Don't want an IRC client? No problem; just click here to access the DALnet web client, where you can join up from the safety of your browser. Just so everyone knows; this IS intended to be a general Requiem-related discussion channel; you don't need to be discussing my projects to be welcome to join. 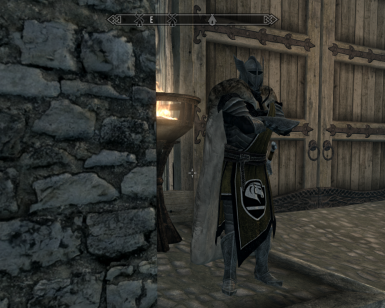 Every cloak in this mod has the following keyword: WAF_ClothingCloak [KYWD:01AF0128]. This is a keyword from the mod Campfire, on which the esp is not dependent. Is it safe to use this mod without Campfire, with an error on every cloak like this? I does not seem to work for me... mayby it because I use player only cloak ? Any idea why ? Well I test it and it dont even work at all even without player only... What is weird is that the dawnguard one have no problem at all ! Might have found the problem I download the mod and activate it but their is no esp. of the mod in the esp pluging list... How to fix this ? Does this still work with 1.9.4? It does, but you have to clean it from errors and adjust it with tes5edit.. So what needs to be adjusted exactly in tes5edit? Will this need an update for Requiem 2.0? have you checked at all I was wondering too. If the two main plugins (cloaks+wic) should be deactivated, why does the main esp of this mod list them as masters? am I doing something wrong? If you're following instructions that say they should be deactivated, then you're probably using COR, and don't need CFR at all (as mentioned in the description, just above the Requirements section). When installing I have an issue. The problem is that I get a Campfire plugin and I don't have anything checked for Campfire, or installed for that matter. Oh, and CFR - cloaks for requiem.esp. Thanks for the heads up on this, I'll have to fix the installer. I checked the installer file and it's configured to install the campfire plugin when the wet and cold plugin is checked in related mods. Easy fix. I have a complicated load order. About 500 mods in fact, with many many manual merges and edits. I just don't have the room. The reason I asked was that if you use CCOR, you don't have to use the plugins for Cloaks or WIC, so you actually save a slot there. With COR doing the same thing CFR does, you wouldn't really gain or lose on plugin count once you merged CCOR's patches together. After installing it there is no plugin showing up for CFR on the NMM. Any ideas? Also, I am using Frostfall(and campfire because of this) as well as Wet and Cold, so during the installer I'm not sure whether to choose Campfire, Wet and Cold, or neither. With this patch installed, only campfire cloaks are purchasable from shopkeepers? I'm not finding any WIC or CoS on merchants? hm, the COR patch loaded before this one causes bandoleers to not show up I think, dunno if you knew this or not, ill just disable this and use COR cause it adds the cloaks with new CO, assuming that you did know this though? because you do not have CFR on the COR install page. CFR isn't intended to be used with COR, that's correct; COR handles the CCOR-integrated cloaks as long as you have the assets installed. Ah, it should be mentioned that this applies to the COR beta only. I'll make sure there aren't any inconsistencies with relative load orders when I get RSE and its page updated.